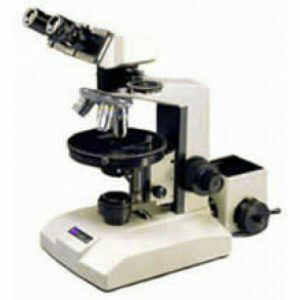 Polarizing Microscope with large stable microscope base and limb with graduated coaxial coarse and fine focusing( with safety stop), rack and pinion focusing condenser mount, equipped with strain free condenser and strain free objectives with pre-centered transmitted Koehler illuminator with 6V 50W High Intensity Halogen lamp with variable intensity control for high illumination demanding applications. 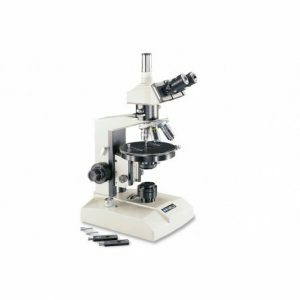 Meiji manufactures these microscopes for most applications in Geology, Petrology, Mineralogy, Toxicology, Chemistry, Pharmaceutical, Medicine, Pulp/Paper, Atmospheric pollution, Ceramics Technology, Forensic Medicine, etc. 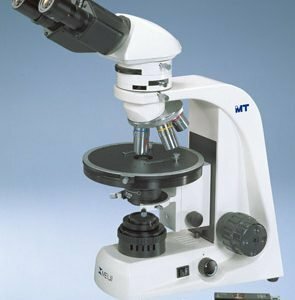 A petrologist uses microscopes and chemical tests to determine the nature of rocks and minerals. 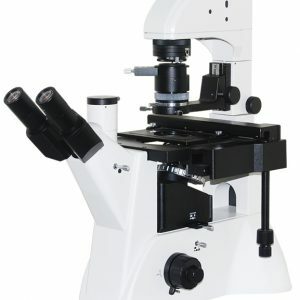 Microscope examination of a rock specimen mounted on a “thin section” slide is the principal technique used to identify the rock specimen. Further study can determine the components and features of the rock along with its composition, how it was formed and the geological setting of the rock. 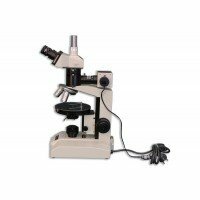 Stained slices, hand specimens, or loose grains of rocks and minerals can be examined with an ordinary incident light stereo microscope like our EMZ-13TR Stereo Microscope with PKL-2 Stand. 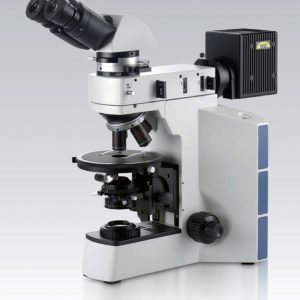 But thin sections are examined with a transmitted light polarizing microscope like Meiji’s ML9000 or MT9000 Series.